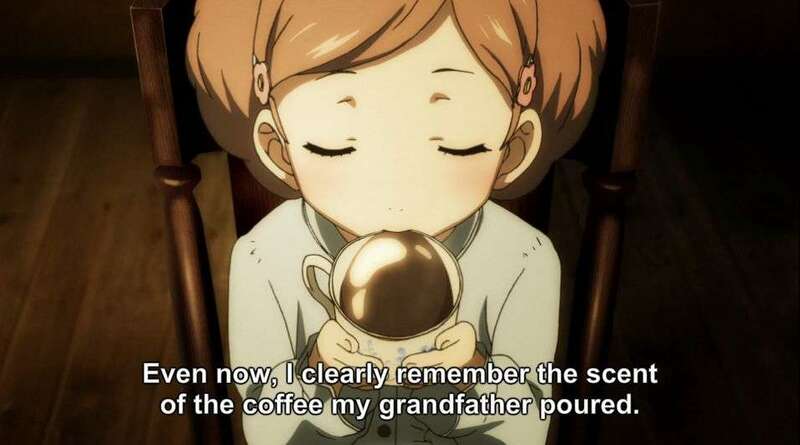 Episode 21 opens with a flashback, giving us a glimpse of Haru’s life before her father succumbed to his worst impulses. It’s a good scene, and yet another example of the anime’s advantage over the game. 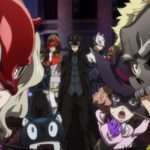 In Persona 5, Haru simply describes her past to the player, but the anime lets us directly see these events play out. Unfortunately, the anime doesn’t really give these flashback scenes room to breathe, a problem that pretty much persists for the rest of the episode. There’s a good story to tell here, it’s just marred by the rushed execution. This problem is especially reflected in the dungeon exploration, which is completely lacking. Unlike in the previous arcs, you don’t really get a good sense of what the Okumura dungeon actually looks like in its entirety. It’s a space station with robots… and that’s about all the anime conveys. The dungeon’s core progression gimmick from the game is completely absent as well, and the dungeon montage does little to summarize it. Now, some might argue that this is a good thing; there shouldn’t be a downside to mostly skipping over a tedious dungeon, right? The problem here is that there’s no sense of progression, so you don’t feel like the Phantom Thieves fought their way to Shadow Okumura. 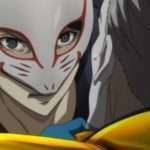 Even Haru’s awakening isn’t spared, lacking the build-up and general execution that made it so great in the game. Fortunately, the confrontation against the big man himself fares a little better, which isn’t too surprising when you consider that Shadow Okumura’s gimmick of repeatedly summoning grunts and having each of the individual members take them out one after an after another wasn’t particularly intensive as far as animation goes. All an all, it’s a pretty decent fight, though the anime makes a critical error here that almost ruins it for me. It completely skips over the Big Bang Challenge attack—arguably the single most important aspect of the battle—and arguably the single most important moment in the game, period. If you have no idea what I’m talking about then it’s worth playing through Persona 5 just to experience that attack alone, because it’s truly special. 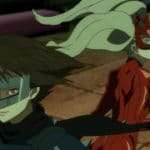 The Phantom Thieves eventually finish off Shadow Okumura with what is decidedly the most impressive looking All-Out Attack so far (still not great), but the transition into his defeat is extremely abrupt. Like, “blink and you’ll miss it” abrupt, which is a shame because they really should have taken their time here. There’ a lot of emotion that can be mined out of Haru’s confrontation with her father, but the anime does very little with it. Shadow Okumura is killed afterwards, and while his dialogue before death is extremely cheesy, it’s difficult not to feel bad for him or Haru. 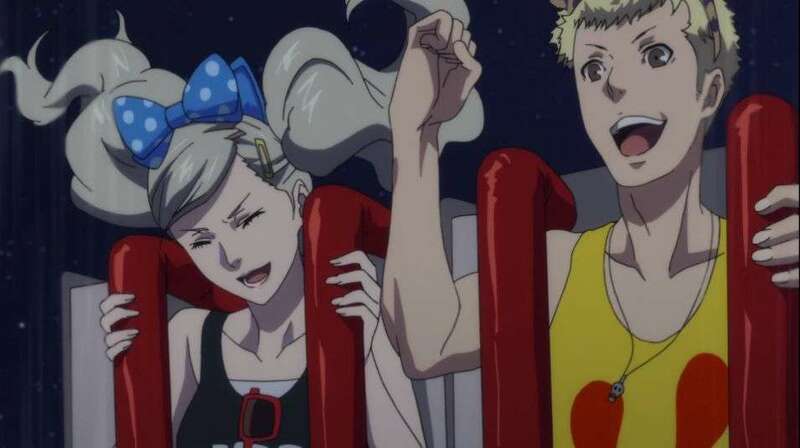 With Okumura defeated, the Phantom Thieves decide to celebrate their victory at Destiny Land, and the anime does a good job of making the following events feel fun and tense. While the game essentially skips over pretty much every attraction (which defeated the point of even going to an amusement park in the first place!) 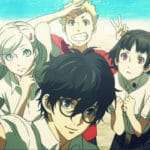 the anime takes the time to show the Phantom Thieves enjoying themselves. It’s ultimately a minor addition, but one that fits really well with the tone of the scene, and something that absolutely should have occurred in the original game. 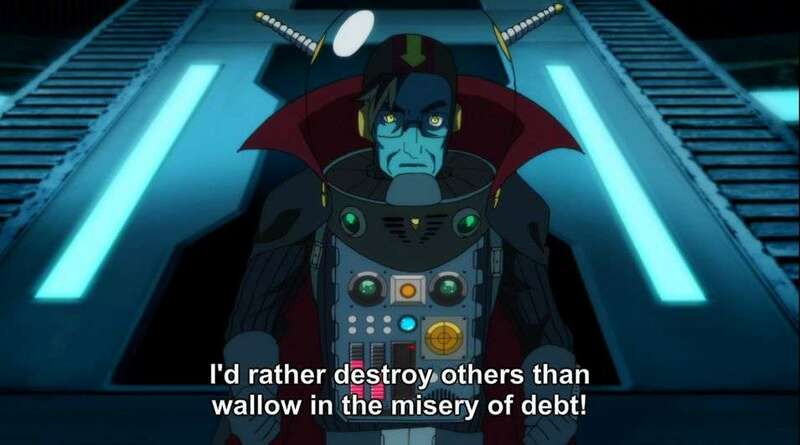 Okumura’s confession is agonizing, and the anime does a good job of capitalizing on that feeling of dread and discomfort. 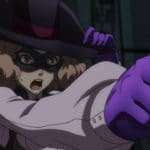 Okumura’s mental shutdown is beyond unpleasant, and Haru’s scream of terror at watching what is essentially her father’s live execution is visceral. It’s definitely better than how the game handled her reaction, which was muted and composed to a degree that came across as bizarre. While I might have had misgivings with this episode’s execution, it doesn’t change the fact that I enjoyed the anime’s take on this arc more than the source material. 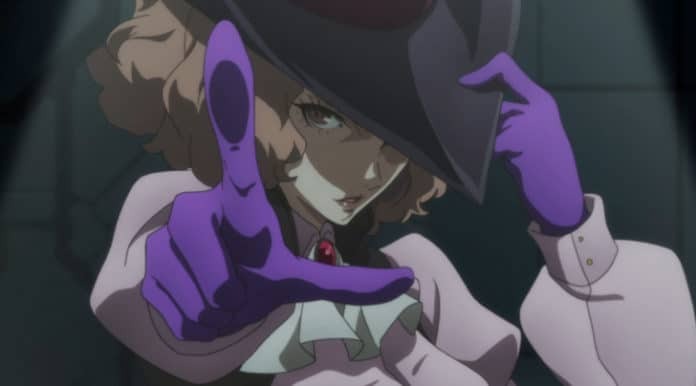 Everything, from Haru herself, to the handling of the Ryuji/Morgana subplot and the little alterations here, make this arc more enjoyable, dungeon progression aside. Things are looking up for the anime right now in terms of narrative momentum, which makes me incredibly excited to see how they follow up on it during next week’s episode.